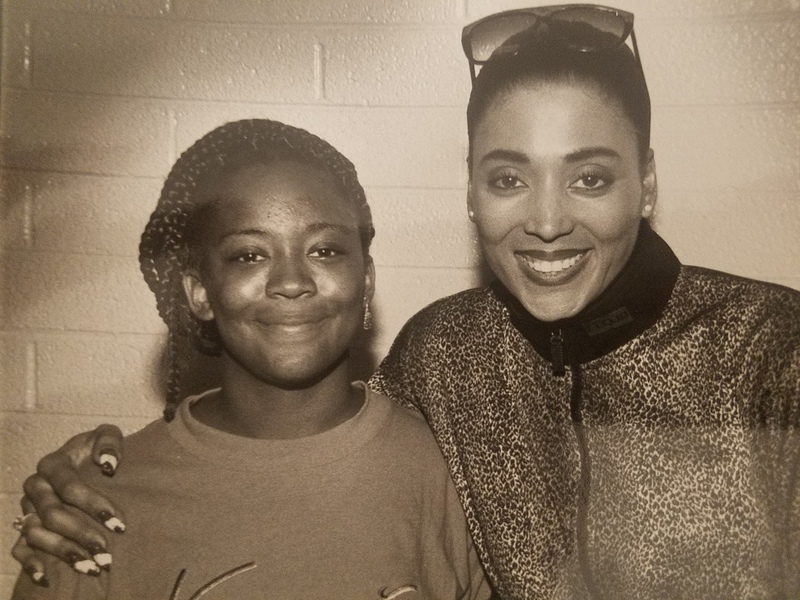 Above: Therosia Reynolds posing with 1988 Olympic Gold Medalist Florence Griffith Joyner after interviewing her in ninth grade. Within three months of moving into her new home at Mesa Artspace Lofts last summer, Therosia realized she lived among a community of unique and supportive people. While leading worship one sunny August morning at temple, she experienced an extreme pain. She noticed she had a lump in her stomach the size of a baby fist, but finished the service anyway. The following day, her upstairs neighbor noticed her discomfort and forced her to go to the ER. “Ms. Michelle, who is a spiritualist, literally said to me, honey you don’t look so good. I’m sensing a bright red aura emanating from your stomach– you need to go to the hospital.” When Therosia tried to downplay her symptoms, Ms. Michelle said, “If I don’t hear from you in the next hour, you and I are going to fight. We’re going to urgent care.” Her neighbor’s loving but forceful nudge helped Therosia to hand over her car keys, and accept the ride to urgent care. She was immediately admitted to the ER after seeing a doctor. Michelle didn’t leave Therosia’s side until Therosia’s mother arrived. 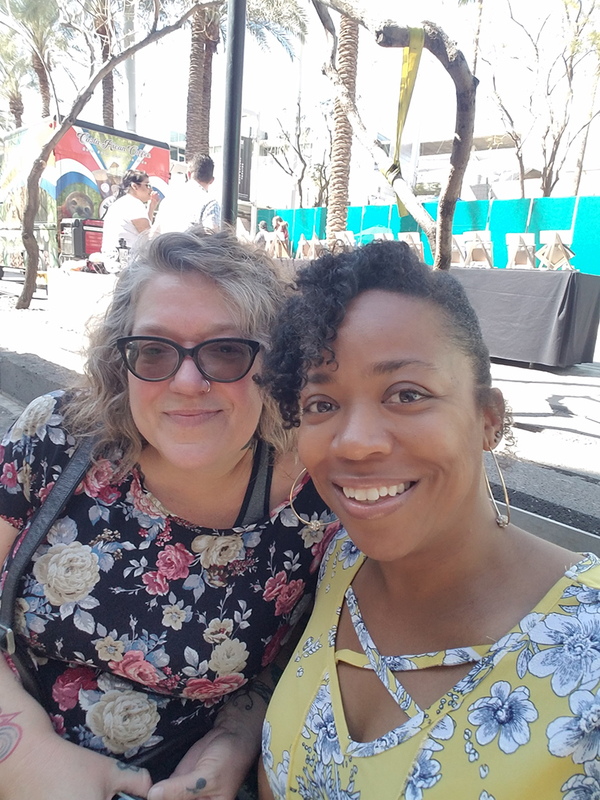 Above: Therosia Reynolds and her Mesa Artspace Lofts neighbor, Michelle Ann Vincent. Therosia Reynolds is a multi-genre artist and Phoenix, Arizona native whose deep-held spirituality informs her life and work. She describes herself as growing up “between worship and war stories.” Reynolds is a singer, spoken word poet, and painter. Her poetry can be found in the Mending Souls Workbook; her other work can be found on her website: outhustleyourstruggle.com. Follow Therosia on Instagram at @iamtherosia or on Facebook @Therosia.